Hey, Checkers, the TRC crew is back with a mixed bag of facts! First, Pat brings us an entertaining segment after investigating an image macro dubbed ‘treason tags’ making the rounds on social media. 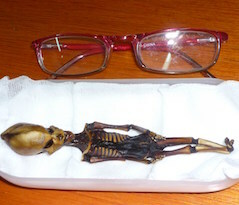 Next, Adam takes a second look at the claim that the Atacama Mummified Skeleton found in Chile was not of this world. Lastly, Darren goes down a rabbit hole to school us on Godwin’s Law.